Margot Rood, hailed for her “luminosity and grace” by The New York Times, performs a wide range of repertoire across American stages. Following her solo debut at Boston’s Symphony Hall in 2011, she has been a frequent soloist with the Handel and Haydn Society under the direction of conductor Harry Christophers. Recent and upcoming solo appearances include Rhode Island Philharmonic (Messiah); Handel and Haydn Society (Messiah, Vivaldi Gloria, Bach Mass in B Minor); Seraphic Fire (Messiah, Vivaldi Gloria, Mozart Requiem); Bach Collegium San Diego (Messiah); A Far Cry (Golijov Three Songs); Oratorio Chorale (Brahms Requiem); Kent Singers (Brahms Requiem); Tucson Chamber Artists (Bach St. John Passion and Mozart C Minor Mass); Back Bay Chorale (Bach St. John Passion); Brookline Symphony (Mahler Fourth Symphony); and the Boston Early Music Festival Fringe. She is often featured on both the Emmanuel Music and Marsh Chapel Choir Bach Cantata Series. Recent stage appearances include Amor in Gluck’s Orfeo ed Euridice with Grand Harmonie, Emily Webb in Rorem’s Our Town with Monadnock Music, Johanna in Sweeney Todd with St. Petersburg Opera, Ramiro in Helios Early Opera’s production of Cavalli’s Artemisia, and God of Dreams in Purcell’s The Indian Queen with Handel and Haydn Society. 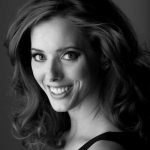 In addition to opera and oratorio, Ms. Rood has performed as soloist with some of the United States’ premiere new music ensembles, and was a 2015 recipient of the St. Botolph Club Foundation’s Emerging Artist Award for her work in new music. Notable recent engagements include her Carnegie Hall debut in the world premiere of Shawn Jaeger’s Letters Made with Gold under the direction of Dawn Upshaw and Donnacha Dennehy, Kati Agocs’ Vessel and Soprano Evangelist in Arvo Pärt’s Passio with the Boston Modern Orchestra Project. 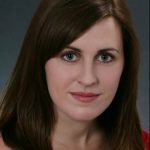 Ms. Rood is a core member of Boston’s Lorelei Ensemble, an all-female vocal ensemble dedicated to the performance of new music, and is a founding member of the Michigan Recital Project, which features commissions by emerging composers. Also sought after as a collaborator, Ms. Rood has been invited by composers at Columbia University, University of Pennsylvania, McGill University and Keene State College for performances and masterclasses. Her new recording with composer Heather Gilligan, Living in Light, will be released in 2016.